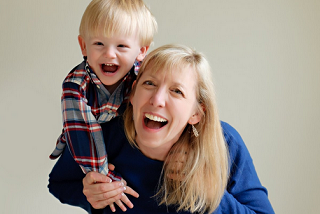 Julie Howard, owner of It's a Preemie Thing, had waited her whole life to have a baby. Almost immediately after getting married at age 39, the 16-year Army major underwent multiple rounds of in vitro fertilization. My husband and I laughed that we are both so stubborn that our bodies are, too, and we just couldn't get pregnant, Howard said. They had actually told us on the last round of IVF that they wouldn't try again if that round didn't work. But it did, and Howard finally got pregnant at age 41. When she found out, she said, I burst out crying. I was thrilled.